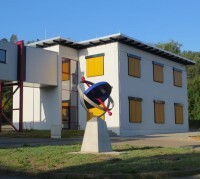 The local integrated school of Rohrbach / St. Ingbert has started a new project: Together with the local volunteer fire brigade they founded a project group for about 20 pupils to stimulate their interest in technology in combination with reinforcing their social engagement to be a helper for people in need and to protect lifes and goods. We, iMAR Navigation, found this idea very interesing and sponsored these activities significantly with basic equipment like clothes and firefighter's helmets for kids. 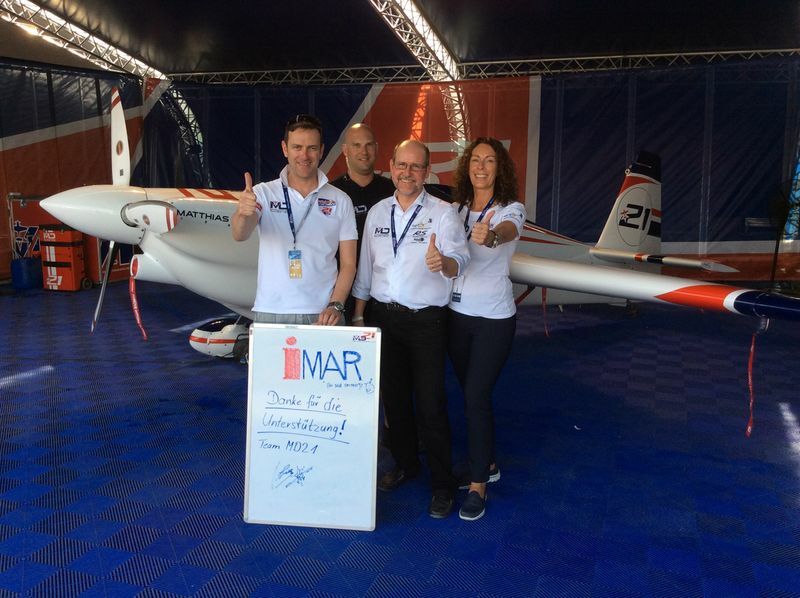 Since 2 years Matthias Dolderer, the German aerobatic pilot of the Red Bull AirRace Master Class World Championship, uses sucessfully iMAR Navigation equipment for flight path optimization and demonstrated the advantages of using our INS/GNSS measurement data by becoming the 2016 World Champion at the penultimate race in Indianapolis / USA in October 2016. Congratulations to Matthias Dolderer from all iMAR Navigation team! The MD21 team uses the iNAT-M200/SLN, which provides high accuracy, data rate up to 500 Hz, sub meter accuracy, up to 30 g range and all that within a very low weight and small enclosure. 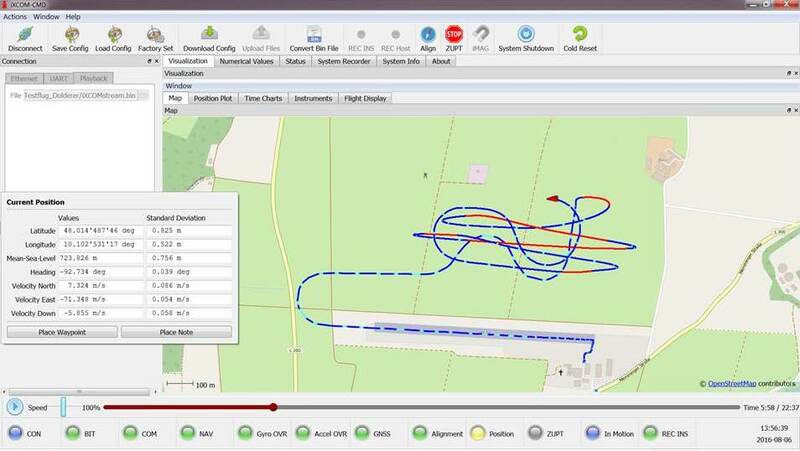 The RedBull application has powerful demonstrated, that the iNAT-M200/SLN is the best choice to monitor the flight motion of trainers during pilot's education as well as to navigate and control even most dynamic UAVs. The iNAT-RQT-4003 is now also used by Airbus Helicopters to acquire the full flight motion dynamics in the test field to assist the qualification and certification of their helicopters. The iNAT-RQT-4003 is an advanced INS/GNSS system with ring laser gyro performance, which allows the online output of all inertial measurements (position, velocity, RPY, rates, acceleration, all standard deviations, BIT etc.) via Ethernet, CAN and UART / NMEA0183 as well as the simultanous storage of all data with up to 400 Hz on an internal 32 GByte memory. iMAR performed successfully a several days test campaign on a regional train of type DESIRO to demonstrate the high peformance and reliability of the iNAT-M200 system with its integrated INS/GNSS/ODO based data fusion. The iNAT-M200 is used for train localizatin as well as for attitude & heading reference, also to aid other sensors which might observe the train's surroundings and to assist the train driver (ADAS). 1908 the first time ever a gyro compass had been used as a true heading reference - it had been on the German cruise ship SMS Deutschland. The inventor of the gyro compass was Hermann Anschütz-Kaempfe (1872 - 1931), who had been born in Zweibrücken, a town located only 15 km south-east of St. Ingbert, where iMAR has its headquarters. The gyro compass increased the navigation accuracy, seafety and had been the basis for the modern maritime traffic. Erfinder des Kreiselkompasses war Hermann Anschütz-Kaempfe (1872 - 1931), der in Zweibrücken, nur 15 km südöstlich des Unternehmensstandortes von iMAR in St. Ingbert, geboren wurde. Ohne ein solches "Gyro Compassing" zur präzisen Navigation wäre der folgende Ausbau der Schiffahrt kaum denkbar gewesen. Swarm Control is a most important application for highly autonomous operating vehicles. All vehicles have to operate within a shared space, a joined task has to be fulfilled and therefore the trajectory control of each swarm member (e.g. autonomous marine vessels, unmanned airborne vehicles, highly automated road vehicles etc.) is as mandatory as communication is between every member and - if desired - also with a control center. With iSWACO (Swarm Control Navigation & Communications & Vehicle Control) iMAR has launched a family of systems to serve the needs of highly autonomous operating vehicles. 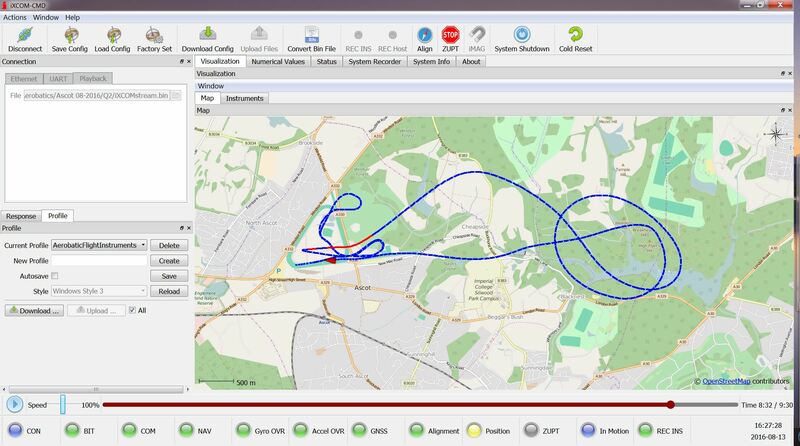 Beside of the localization task (INS/GNSS etc.) it contains a powerful multi-band RF communication and also an integrated, but for safety reasons separated microcontroller which is used to inject set values to the vehicles actuators (engine torque, steering, brake...) in real-time for automated or autonomous vehicle control purposes. Hence iSWACO-M200 is a device with an integrated navigation solution based on inertial sensors and a highly sophisticated data fusion by incorporating information from GNSS, wheel sensors, RADAR or stereo camera for precise positioning as well as environmental survey. Additionally iSWACO contains a powerful communication module for LTE, GSM and WLAN, to be able to interact with all other swarm members in the neighborhood as well as with an upper level control center. Rate tables or turn tables are used to measure and calibrate inertial sensors and systems regarding angular rates or orientation in space, but they are not suitable to perform tests regarding linear motion or acceleration, as they are required for translational motion testing or tumbling motion testing under marine motion excitation. To be able to test inertial sensors and systems or gimbals or gyro stabilized platforms regarding 6 DOF motion (roll, pitch, yaw as well as angular rates, acceleration, velocity and translational motion on all axes) during a FAT or within the development phase of new products, iMAR installed a powerfull hexapod. This hexapod can carry up to 1'000 kg payload and provides up to 1 g acceleration, up to +/- 450 mm displacement, up to 1 m/s speed, +/- 30 deg in roll / pitch / yaw and 50 deg/s angular rate. The hexapod is mounted in the new iMAR building C with access to the installed 5-to crane system for easy handling of the payloads. The new hexapod completes the already available in-house testing equipment at iMAR, i.e. 40 kN vibration and shock test system, several multi-axes turntables and temperature chambers, centrifuge, 3D coordinate measuring machine, automatised (driverless) controlled automotive platform etc. For precise surveying applications using inertial or optical sensors, beside of a highly accurate time stamping and synchronization of all measurement data an most accurate mechanical reference of the systems is required for a seamless integration of the navigation Systems into the user's application. iMAR now provides the Service to deliver the manufactred Systems with a measuring protocol containing the precise position off all mechanical reference locations of the system's housing. A highly accurate coordinate measureing machine of type ZEISS CONTURA has been installed in February 2015 to provide this service to our customers. In May 2014 we started to build up our third building at our headquarter's area in St. Ingbert and now, end of December 2014, we are proud to start operation inside. With this building we expand our space being usable for design and manufacturing significantly. The new building provides additional 750 sqm space and is connected via a bridge to the elder buildings, which we built in 2003. A 7 m height manufacturing area with an integrated crane for up to 5 tons payload is available also to support our manufacturing of high sophisticated latest generation tracking systems (e.g. cine-theodolite replacements) for even extra large payloads like gyro stabilized multi-antenna systems. The large integration hall will also be used to equip autonomous driving vehicles of our customers with our advanced measurement systems. What is an inertial navigation system or inertial measurement system? iMAR Navigation, the innovator for leading inertial systems and solutions for more than 25 years and with support worldwide! For industrial, defense, automotive, surveying and special forces applications. and decide for the products, system solutions and the engineering provided by iMAR Navigation, Made in Germany, backed by more than 25 years field experience!